This series of petunias, easily grown from seed, makes such a strong statement in the garden that its difficult to understand why they are not more widely grown. As easy to start from seed as any petunia, these little work horses send out huge carnation like flowers in shades of deep purple, pink, magenta, pale pink wine and orchid that are even good for cutting! The fragrant flowers eventually cascade off of their containers making them ideal for hanging planters or under-planting in tall containers. Double Cascade can be purchased from Park See Co. online, but other seed companies such as Swallowtail Garden Seeds and Stokes Seeds sell mounding doubles that are also very pretty. 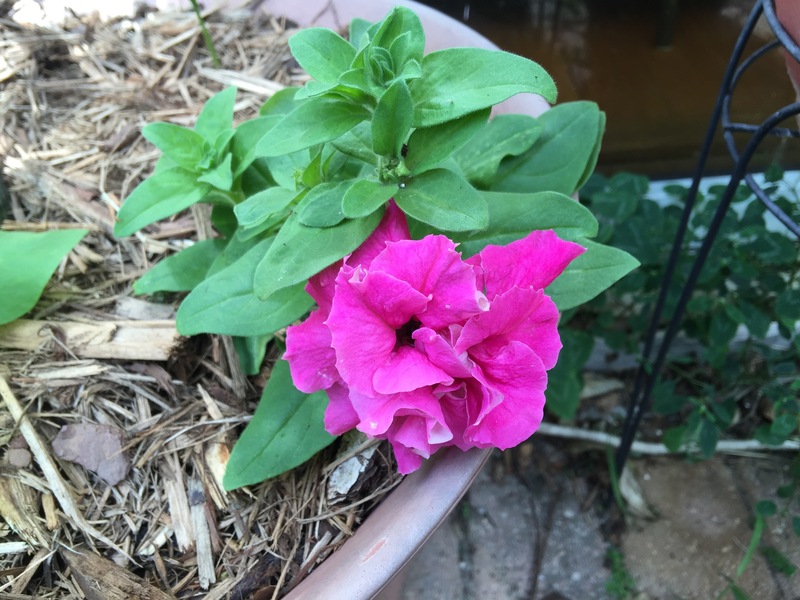 Petunia’s rot easily in heavy rain so keep them off the wet ground and give them good draining soil.